When Typhoon Yolanda hits the Philippines and all the horrible news and video footages showing from different news organizations. 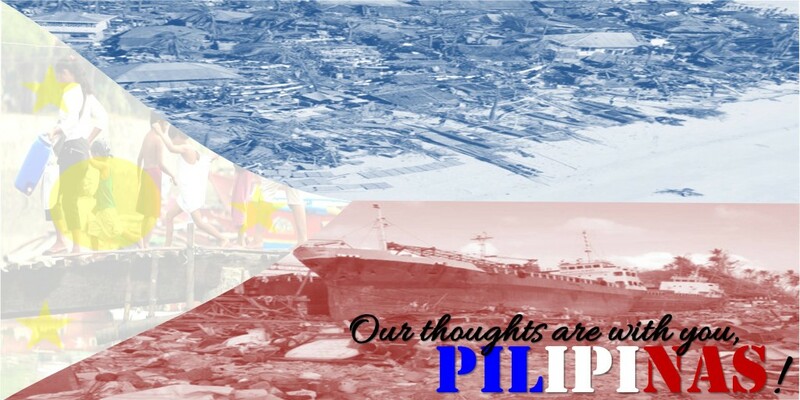 Make me feel very sad and I wish was there to help them and give my strength for our fellow Filipinos. Even I permanently living overseas my heart will always be in the Philippines. What I like being a Filipino is the Bayanihan spirit. Right now, All the Filipinos around the World from Paris to Middle East to New Zealand are organizing their own group by doing fund raising, Telethon, Garage Sales and the money or goods they will donate it to the victims of Typhoon Yolanda. This is the main reason. I’am proud to be a Filipino. The NDRRMC, Philippine Red Cross and DSWD have indicated that monetary donations are the most flexible at this time. Please also indicate that the donation is intended for those affected by the Typhoon Yolanda. *For confirmation of donation, please fax (+632-411-4995) or email (sagip@abs-cbn.com) copy of transmittal/ transaction slip with complete donor’s information. The GMA Kapuso Foundation Office receives monetary and material donations. For monetary donation, the Foundation accepts cash or check which can be personally delivered to the GMAKF Office or deposited in its bank accounts. An official receipt is automatically issued for donors who bring their cash donation to the GMAKF Office. For cash deposits, the donor is requested to fax or email a bank transaction slip indicating intended recipient and contact details for sending of official receipt. The GMAKF also accepts donation through CEBUANA LHUILLIER , all branches nationwide. Account Name : GMA Kapuso Foundation, Inc.